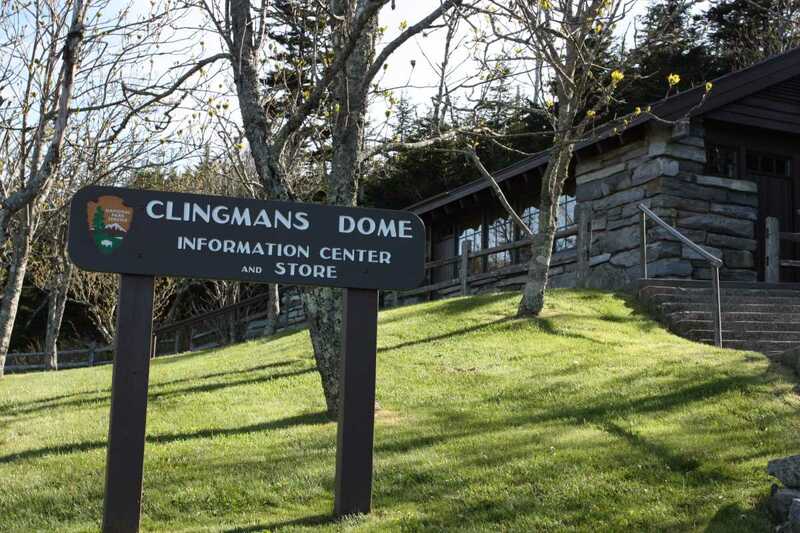 While the vast majority of people visiting Clingmans Dome stay on the paved path, venture past the pavement just a bit for a short trip down the Appalachian Trail. 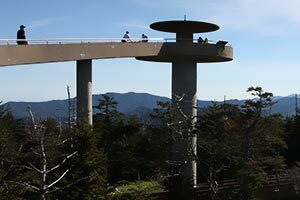 From the 54 foot observation tower, straddle the North Carolina and Tennessee borders to make Clingmans Dome a more interesting hike. If you’re looking for solitude, look elsewhere. 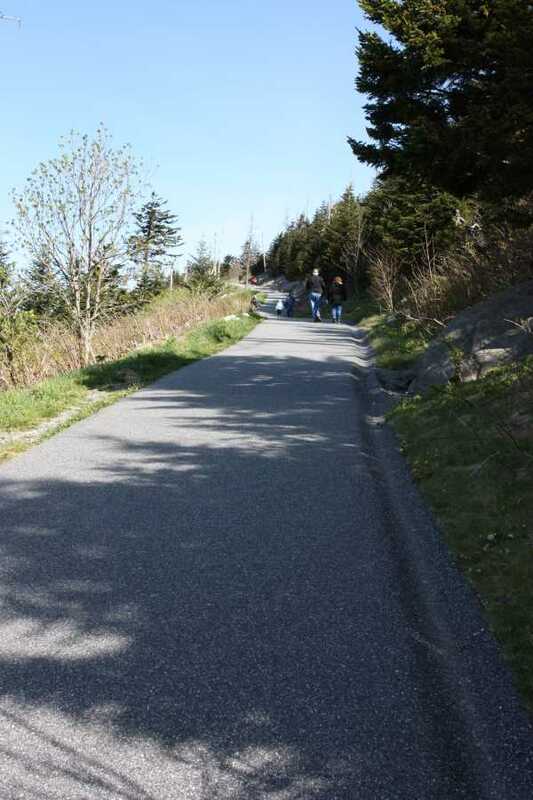 The large parking lot at the end of the 7 mile access road to Clingmans Dome immediately tells you how much traffic this summit sees. 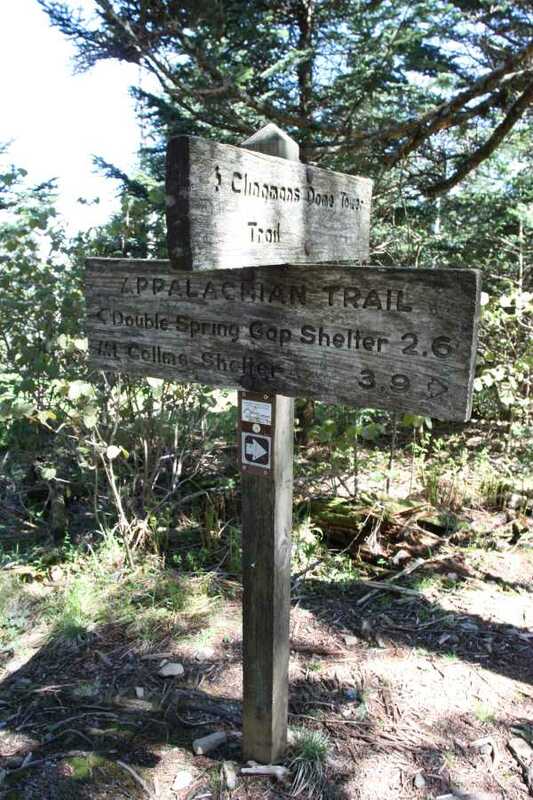 Restrooms are available at the parking lot and just up the trail is an information center and store. 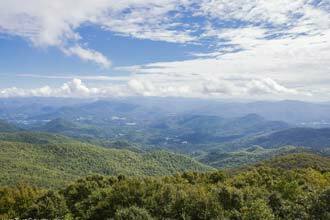 But you don’t have to wait for the views; the parking area is home to massive views to the southwest, including Fontana Lake. 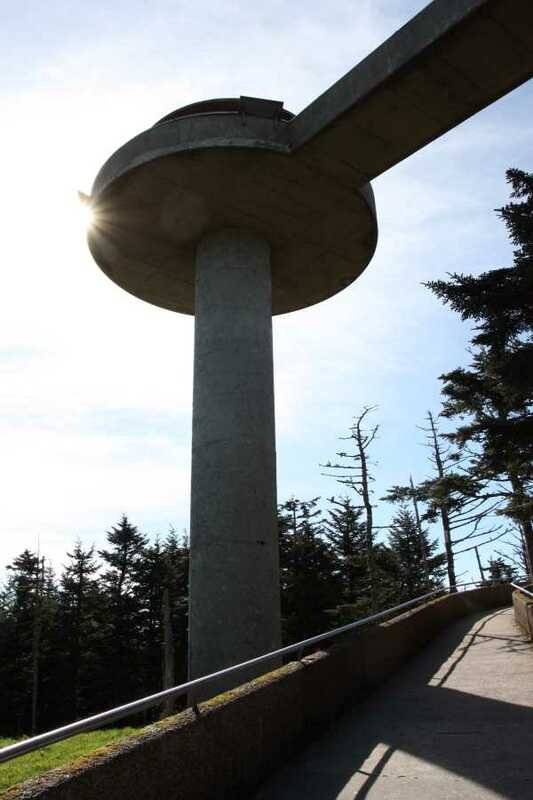 Although the paved trail is only .5 miles to the base of the observation tower, it gains 360 feet over the short distance. 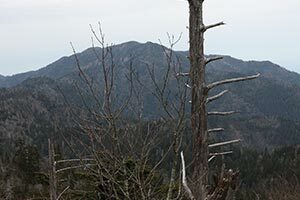 As you climb, the view from the parking lot gets better and better, but only hints at the what's to come. 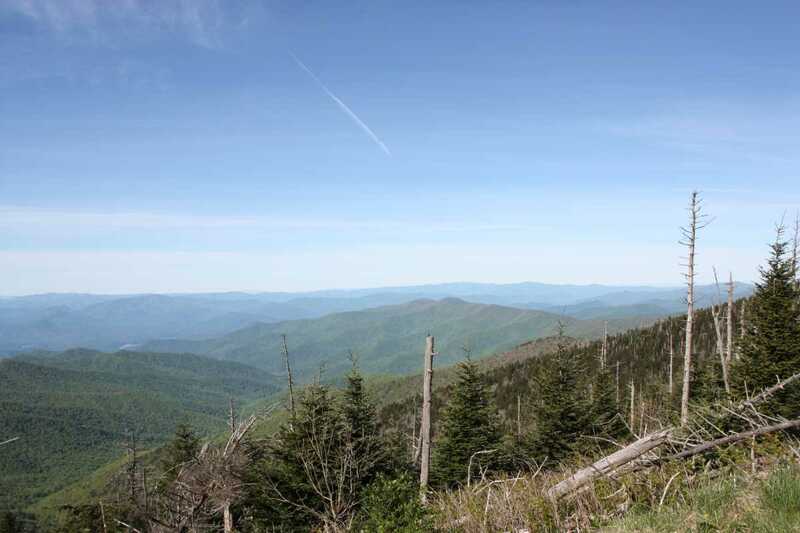 Just before reaching the observation tower, a couple of side trails split off to the left, connecting with the Appalachian Trail that passes nearby. 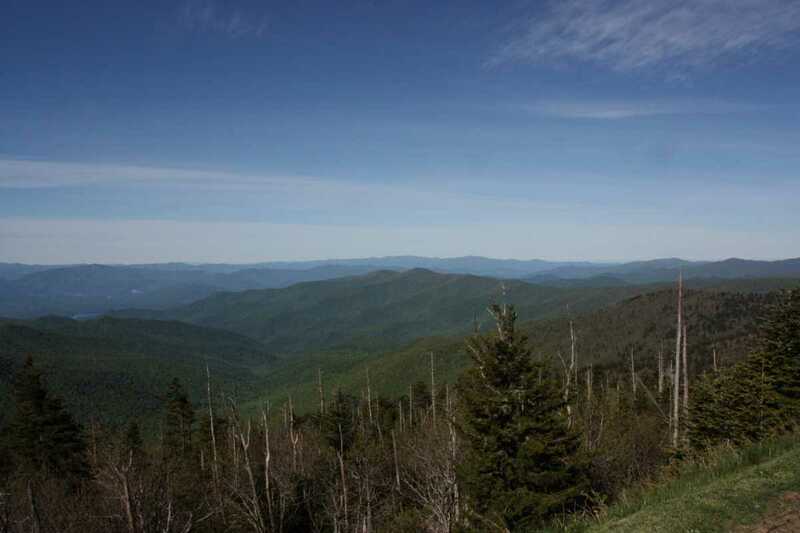 This is the highest point along the entire AT, stretching from Georgia to Maine. 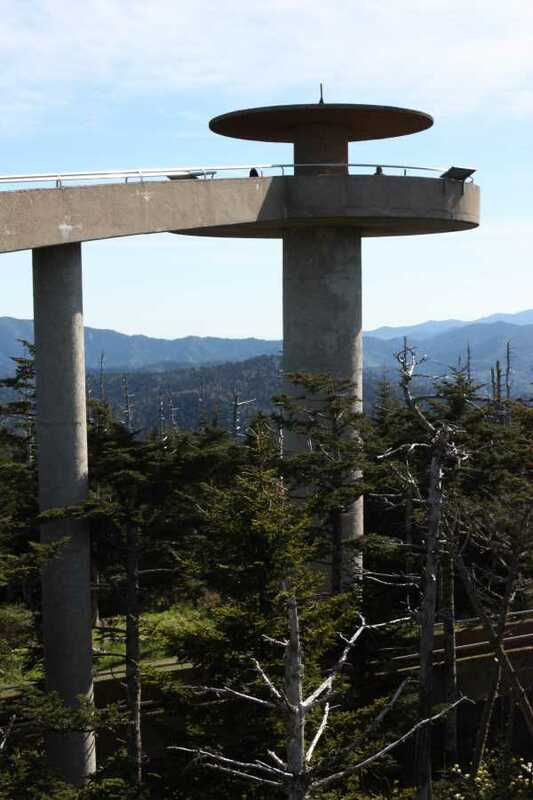 Perched atop Clingmans Dome at 6,643 feet, the observation tower offers expansive 360° views. 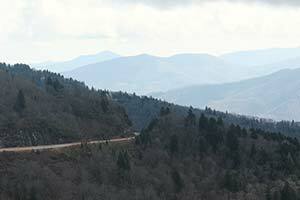 From here, you can see Gatlinburg, Cherokee, Mt. 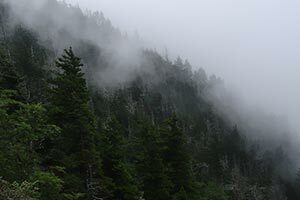 LeConte, Thunderhead Mountain, and even Mount Pisgah and Cold Mountain in Pisgah National Forest. 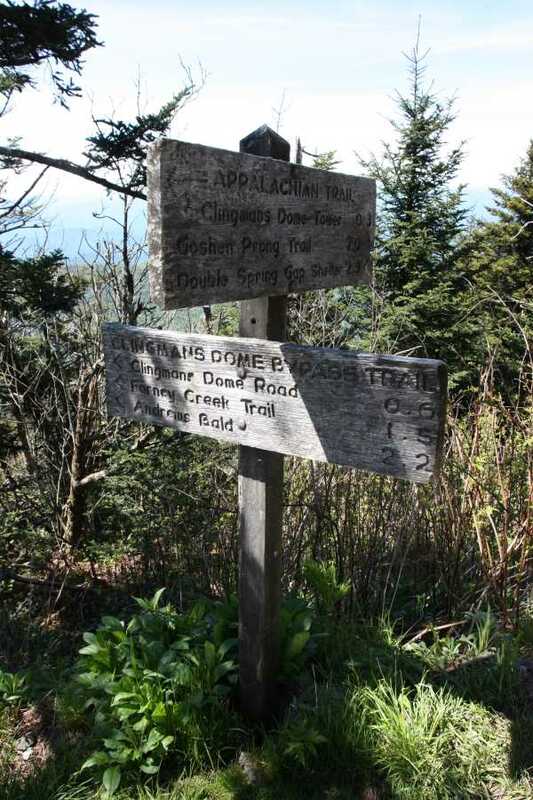 Information signs for each cardinal direction help locate notable peaks and other points of interest. 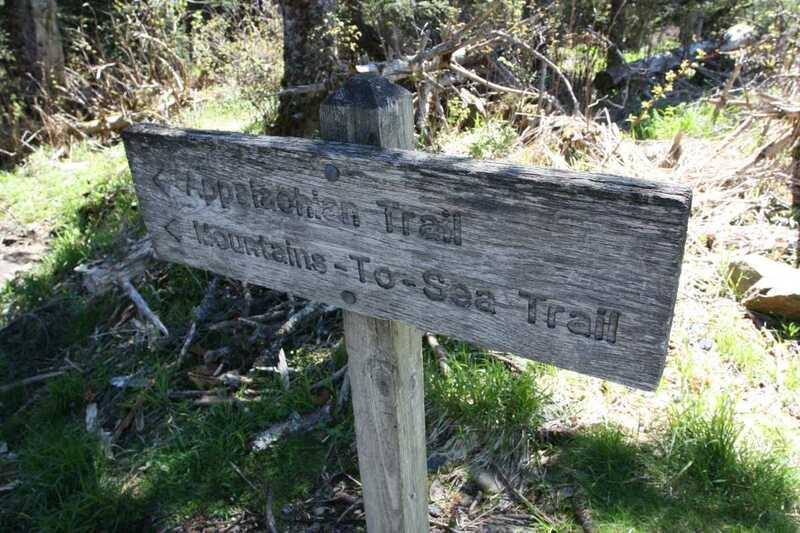 Once you finish soaking in the views, hop on the AT via the short connector at the base of the tower and head southbound by following the sign in the direction of the Double Spring Gap Shelter. 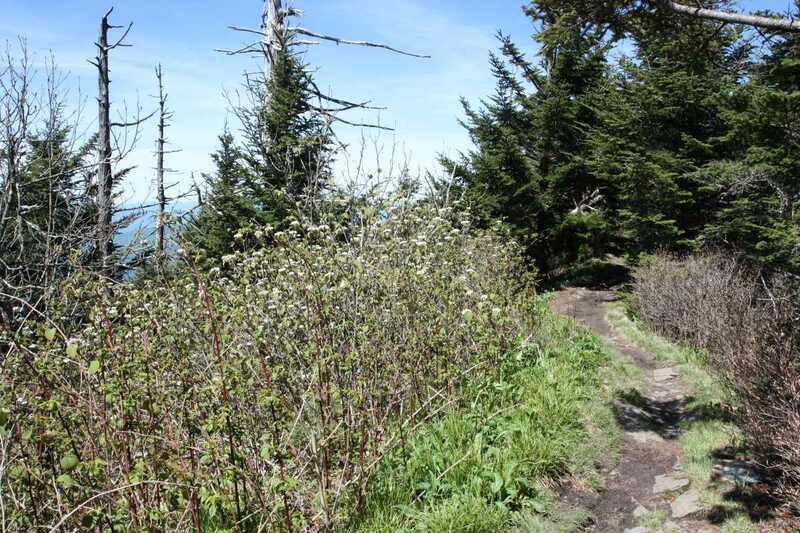 Walking along the ridgeline offers a few views but you'll quickly come to the intersection with the Clingmans Dome Bypass Trail on the left. 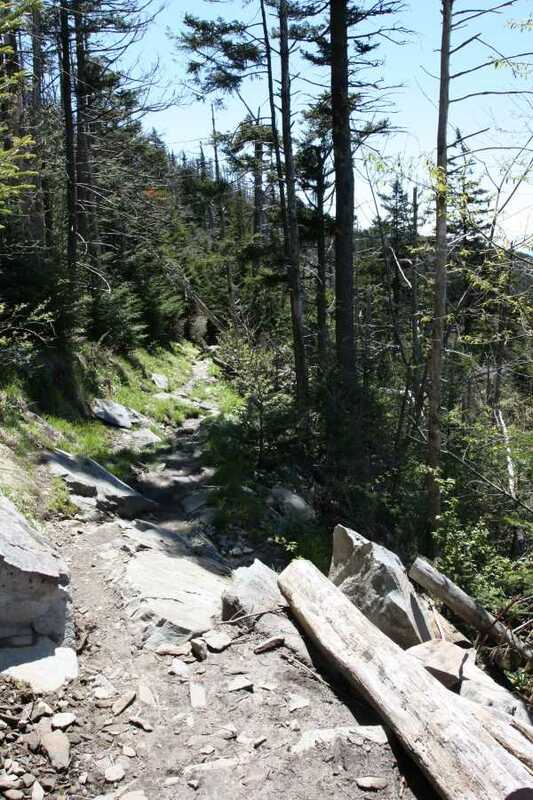 This rocky trail is the path less travelled to get back to the parking lot. 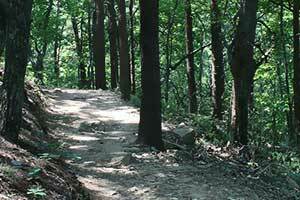 Though not as scenic as the paved path, you'll avoid the crowds and find a little solitude on you're way back down. 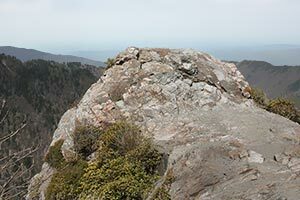 Pass the Forney Ridge Trail on your right before arriving right back where you started. 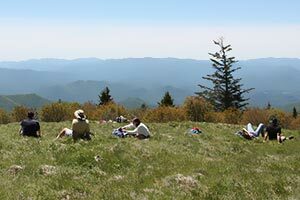 If you want something longer, head down the Forney Ridge Trail to Andrews Bald for more great views. Yes this is a tourist hike, but it's still amazing. 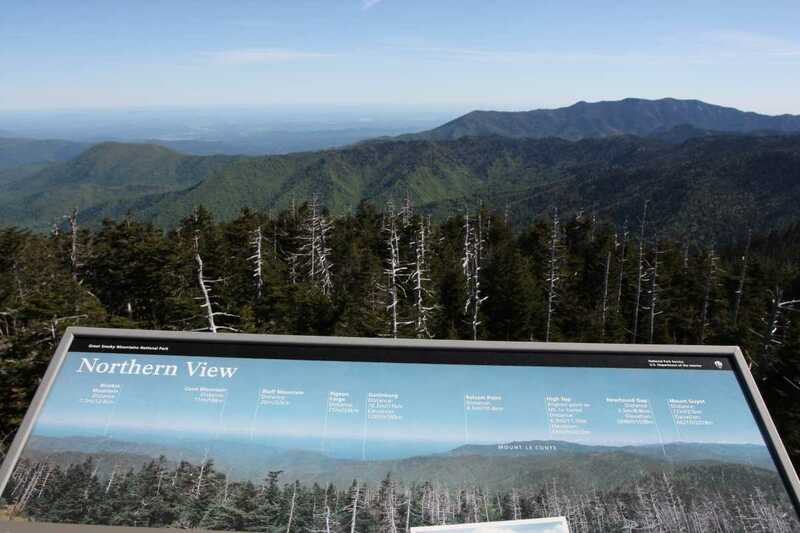 You cannot beat the views from the observation tower. 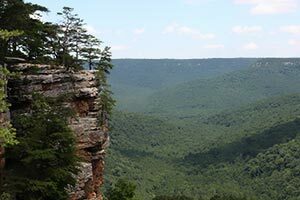 This loop allows you to get off the pavement, if only for a short period, and experience a little more rugged and quiet terrain.